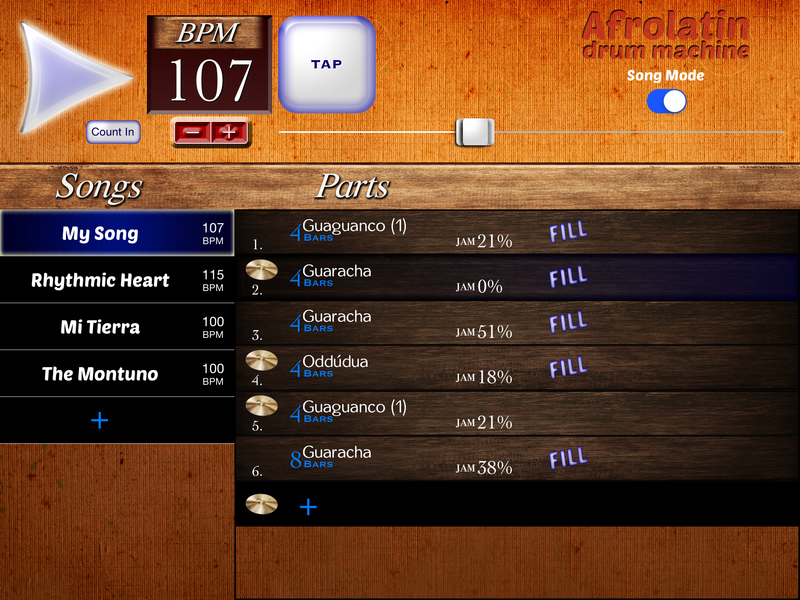 AfroLatin Drum Machine v2.0 is coming soon with Song Mode, Jamming Tool and more! Now it’s the time for Afro-cuban, dominican percussions. 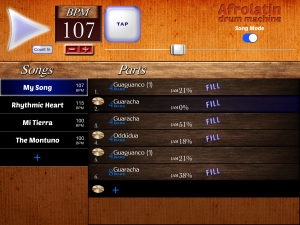 The drum machine loved by many fusion and latin musicians becomes even more useful and inspiring with the next amazing update. 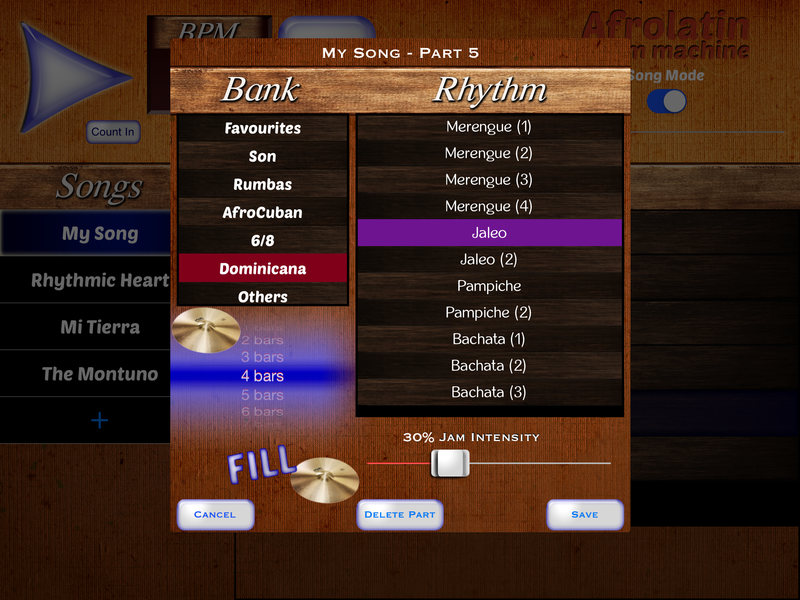 The song mode brings an easy, quick and fun way to create your song structure. 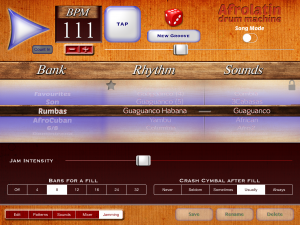 The new jamming tool turns the machine into human and more improvements takes AfroLatin Drum Machine into a new level. The update will be available very soon, stay tuned! 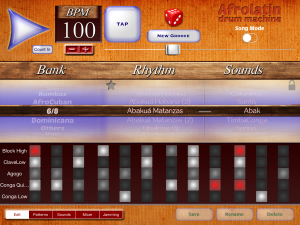 This entry was posted in AfroLatin Drum Machine on February 16, 2015 by LumBeat. Nice update on the AfroLatin app – like it. I have a problem with interapp. 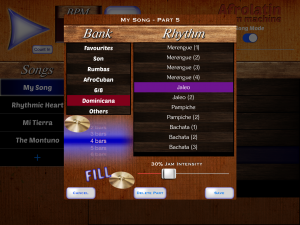 Can connect, but the Control-buttons from the apps like Cubasis or Garageband do not appear in AfroLatin and the grooves are no longer startable. Could you fix that please – you are on the right way. Hi Gunter. We will take a look and solve it as soon as possible.